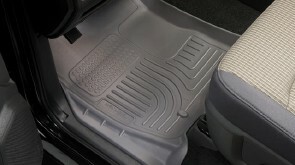 WeatherBeater™ Floor Liners offer a fresh appealing design complimenting today's current model cars, trucks and SUV's interior styling. This new design is also custom-fit, features containment walls to help keep messes away from your shoes and patented "Nibs" to help keep your liners from shifting. 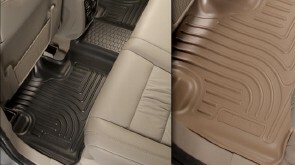 In addition, the WeatherBeater™ liners use key elements of your vehicle's interior to give your floor liner a customized look and feel.